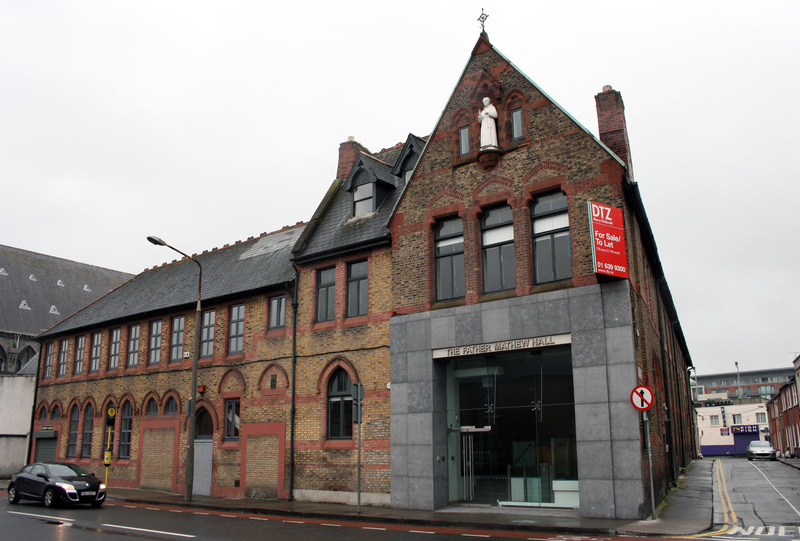 Father Mathew Hall has a strong presence on the corner of Church Street and Nicholas Avenue. 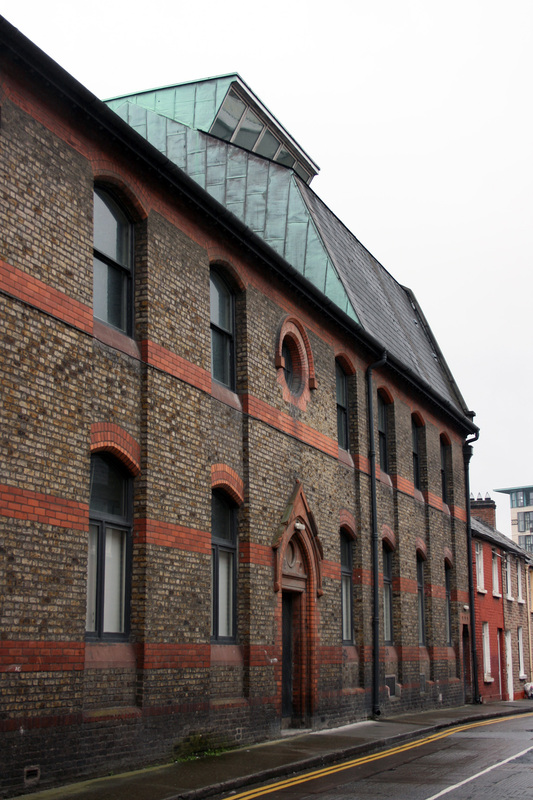 The original section of the Temperance Hall was designed by Walter Glynn Doolin (1891) as a new home for the Halston Street Temperance Sodality, marking the 1890 centenary of Theobold Mathew‘s birth. It was extended by Charles James McCarthy in 1908-9, with a proscenium by Anthony Scott completed within the hall in 1909. More recently, the building (which was out of use) underwent refurbishment and conservation work by Scott Tallon Walker Architects. To the rear, along Nicholas Street, there’s a strange roof form on a section that appears to be part of the Hall but may be quite separate – it’s certainly clad and dressed in a similar language, though the aerial view onto the multi-height action at the corner makes me unsure, while the recently renovated openings have a distinct look of a smart office fit-out about them. 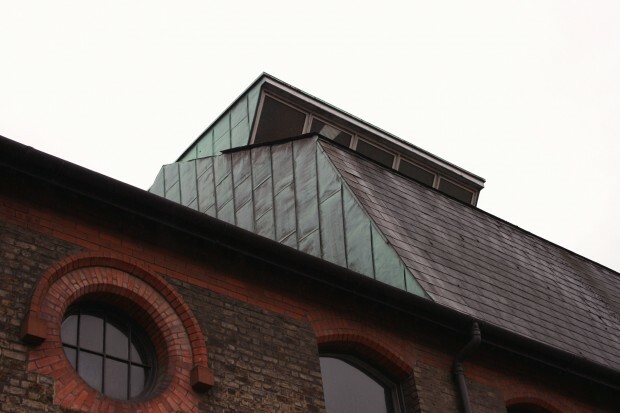 Sitting on the simple pitched roof, there’s an angular composition, with slates on the street-facing planes and copper panels along the sides. 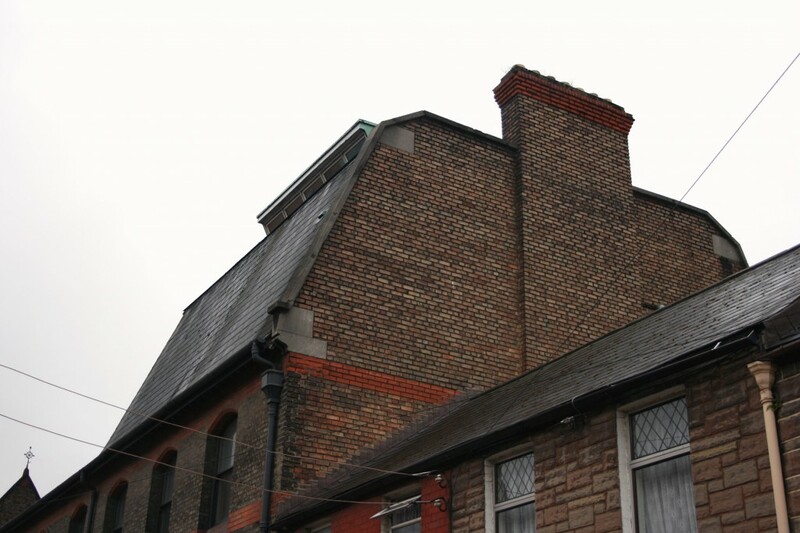 As you face towards Church Street, the side profile of this section is like a flat-topped mansard roof, brick-clad and formed around the chimney. From this side, it looks far too evenly weathered with its context to have been a recent addition, and it’s less dramatic than it’s other side. From Church Street, it’s an angular, alien form zigging out and zagging back like it’s marking out its terrain and scooping in light, without much concern for what the neighbours might think. I’m disappointed not to be able to place it, and was hoping to find even a short description of what and why it’s there, but it’s a point of interest on Church Street, waiting to see it pop into view behind the more sober street. 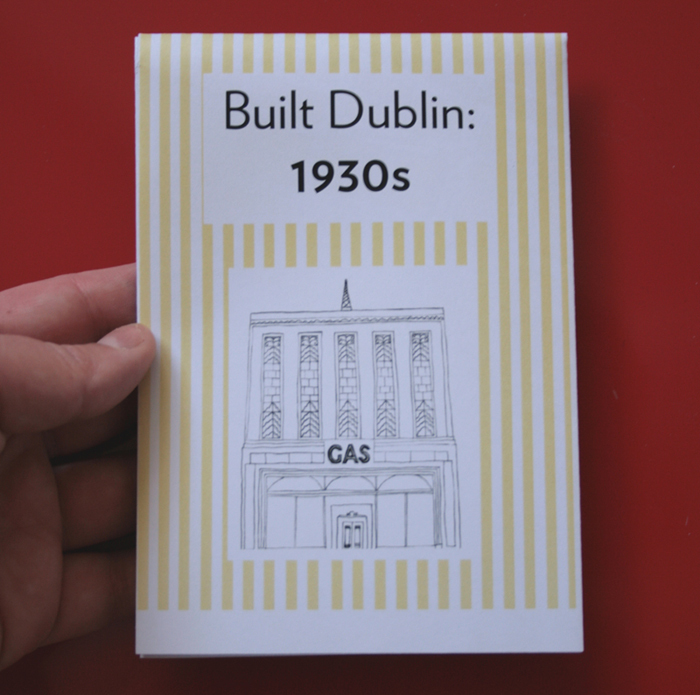 Update: Via Twitter, Ciaran Ferrie kindly pointed out that Buro Happold’s Dublin offices were located at Father Mathew Hall, and that RKD Architects worked on the building, perhaps on the interior fit-out. Via Facebook, Charles Duggan suggested that the roof form houses the stage rigging. Thank you both!